The Secret Lives of Teachers, published anonymously by the University of Chicago Press, isn't easily characterized. It's part memoir, part sociological study, part exposé. But that doesn't stop it from being an occasionally funny, occasionally insightful read. The anonymous author is a high school history teacher at an unnamed prestigious private school in New York, also unnamed. He comments on everything from salary levels to problem students to overinvolved parents. The stories themselves range from mildly entertaining to subtly revelatory, and the masked writer keeps things interesting and well paced. 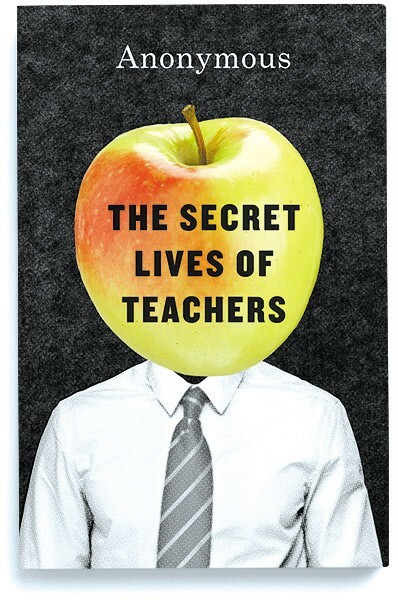 A title like The Secret Lives of Teachers hints at the inherent mystique of educators, yet the author's frankness about his profession peels the veil back quite accessibly. Within the first few pages—where the writer comments on some of the high school romances he witnesses, the potential consequences of his choice in necktie, and his strategy for answering questions during a test—he establishes a sense of trust that's necessary for any educator worthy of his students' respect. Despite our knowledge that the names have been changed, it's easy to buy everything that's thrown down here. It's harder for perceived B students to receive an A on a subsequent assignment than an established A student? Makes total sense. Of course, an extension of these satisfying "Really?" moments is the desire for a little classroom discussion, but it's here that the author chooses to simply continue his lecture rather than consider his pupils. When the teacher describes his demarcation between A students and B students, for example, follow-up questions naturally arise. How common is this behavior? Does the author think other teachers are mentally geared in a similar fashion? Unfortunately, Teachers doesn't address many of these nuances, and greater depth is compromised in favor of the book's snappy pace. Advance press releases proclaimed some of the book's anecdotes "scandalous," but there's nothing here that's truly surprising or scintillating. The author's mental checkout during a catty parent-teacher conference isn't a scandal. That's just someone being human. In Chalk, a high school mockumentary in the style of The Office, the students are the bad guys.